There are many investment tactics available, but one strategy has proven the test of time. It’s using diversified investments in your portfolio. Sure, just about any investment will do well under specific circumstances. But the smart investor never bets everything on one investment, no matter how much it might appear to be a sure thing. Harry Markowitz, a Nobel Prize winning economist, called diversification “the only free lunch in finance.” Investors know him for building out modern portfolio theory. In the long run, diversification, combined with patience and self-discipline, wins. 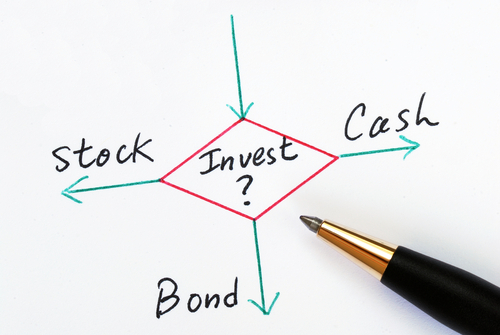 Below are six ways to diversify your investments and create a balanced portfolio. While making money is one key to growing your portfolio, not losing money can be equally important. And many experts will agree that diversifying is one of the most effective ways to guard yourself from losing money in the market. When your stocks are down, your fixed income savings bonds should maintain their value. When your real estate property takes a nosedive, commodities might go the opposite way to balance things out. The more diversified investments you have to spread your risk, the less money you tend to lose and the more money you can make over the long term. Investing in the stock market is a time-tested way to grow your net worth. While there are no guarantees, the performance of the U.S. economy and of U.S. stocks as a whole have been strong for generations. For this reason, investing in stocks is an excellent move for growing your portfolio. Government-backed savings bonds are another excellent investment. While the returns might not be as exciting as those that the stock market is able to produce, at least you know exactly how much you will be making when you cash out. This stability protects you from loss if the economy tanks and your stocks dip in value. In fact, every investment you own can go down in value, but as long as the United States Government continues to exist, those bonds will hold their value. That’s the best guarantee you’re going to get in the investment world. Commodities are another smart way to diversify, as they react to economic events differently than stocks do. These include things like gold, oil and even real estate. Companies can go out of business and disappear completely, but gold in your possession is still gold, and it is likely to be valuable for the foreseeable future. In fact, gold sometimes increases in value when the stock market crashes. Likewise, investors see real estate as a smart investment because it’s a finite resource. Land will continue to exist no matter what the economy is doing. Ten acres in the Midwest will continue to be ten acres. The value may fluctuate, but in the end, land is always in demand. It might not happen very often, but there are times in which the U.S. economy temporarily experiences trouble across the board. When this occurs, all of your domestic investments — stocks, bonds, commodities and real estate — may be negatively impacted. You can’t do much to protect your portfolio when all of your investments are here in the United States. This is where investing in foreign economies can stabilize your portfolio and hedge against risk. So to further minimize risk, your diversified investments should not only be spread out across the domestic economic landscape, but they should extend overseas as well. Lastly, as your portfolio continues to expand to include all of these types of diversified investments, you will want to continue diversifying further within each class of investments. For example, you could invest in a wide variety of old and new companies across multiple industries to spread your risk there. As for real estate, you could invest in both residential and commercial properties in different parts of the country. You could go even deeper by diversifying between low-income housing and luxury homes. Spreading your risk with diversified investments can help you avoid losing money. Your portfolio will continue to grow no matter what events take place. While there is no way avoid every loss, keeping your eggs in multiple baskets has proven to be the best way to protect yourself from financial ruin. Diversified investments will lower your portfolio’s volatility and can still produce a great risk-adjusted return. To learn more about investing and retirement, check out our retirement glossary. It’s packed with must-know financial terms.